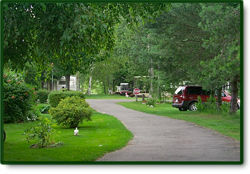 Lyndhurst Trailer Park is a seasonal park with a senior section and a family section. The park is open from mid April to mid October and offers 200 fully serviced sites. 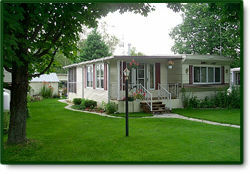 Each lot is maintained by the trailer owner and management is responsible for all common property. Park residents have the use of an outdoor pool and an indoor pool. There is also a recreation room for cards, bingo and other games. The Trailer park is located adjacent to Lyndhurst Golf Course and is an ideal way to spend your summer whether you are a beginner or golf nut. Trackage fees are available if you own your golf cart. Come visit us today and see what we have to offer.